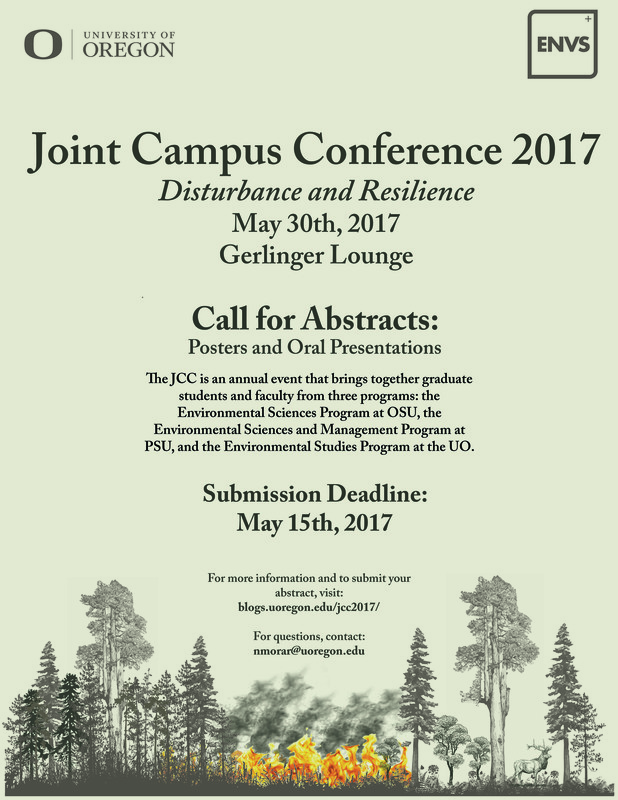 The Joint Campus Conference (JCC) is an annual event that brings together graduate students and faculty from three programs: the Environmental Sciences Program at Oregon State University, the Environmental Sciences and Management Program at Portland State University, and the Environmental Studies Program at the University of Oregon. 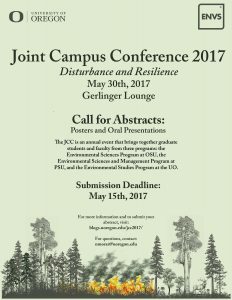 The JCC creates an opportunity for graduate students and faculty from each of the three programs to present their diverse research interests to a larger community of environmental scholars. Presentations and posters given at the JCC generate discussions that span the humanities, social sciences, and natural sciences. The JCC, which typically takes place during spring term, has been held each year since 1998. Prospective students are welcome to attend this event and learn more about the kind of research students are conducting at OSU, PSU, and UO.